Since the mid 1990’s we have been responsible for countering covertly organised threats to people , property and assets on a national and international scale. We also provide security advice to a range of other organisations, helping them reduce their vulnerability to the threats. DSRM close protection operations are managed largely by former Service Officers and Non-Commissioned Officers and we are extremely committed to ex HM forces and enforcement agencies. We are of the opinion that the highest quality of service delivery can only be achieved through a partnership client relationship, where trust in the provision of service is implicit and delivery is a seamless part of the client’s own lifestyle. Our passionate commitment to high quality client / principle care is a key company value that encompasses our overall approach to ensure satisfaction. DSRM will never take short cuts with the quality of our service provision or the management support of our contracts in order to cut costs. 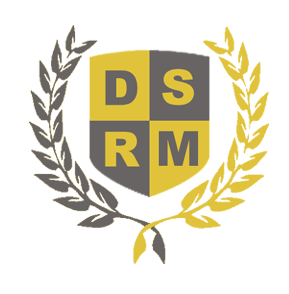 DSRM provide a complete security management service, reporting directly as assigned with regular updates, reports and service evaluations. The service may include the planning, introduction and implementation of a completely new security solution designed specifically for the client / principle. Alternatively it may include restructuring and up-dating an existing operation that is failing to meet the needs of the client / principle. Then followed by applicable research and security risk assessments; the unique and wholly appropriate operational requirement can be designed and calculated taking into account the clients profile, culture and image to counter any threats, ideally without overly impinging into the Client’s private and family life. In these turbulent times the need for protection is unquestionable. To be safe is a heightened concern for all of us. Moreover, Criminal and dangerous activities take place all around us. It is no longer true that problems can arise just in the ‘bad parts of town’ or remote locations. Qualified security is indispensable when it comes to personal protection. Every assignment has its own special needs and each one receives undivided attention. The fact that we have been instructing Level 3 Close Protection Operations for over a decade gives advantage as to database of over 3000 international operative – both male and female to complement and be ambassadors for our clients. DSRM Team Leaders are highly-skilled in operational planning and working closely with the client, local authorities, enforcement agencies, outside agencies and other stakeholders to assess threat levels and how to mitigate risks. A team of experienced personnel will be deployed in plain clothes, uniform or whatever measured as being most suitable, dependent on requirements. DSRM operatives are well trained and ready to respond to crises in any setting high medium or low risk. Over many years, DSRM have provided close protection and security driver teams for various individuals, families for both business and pleasure internationally. The expectations of our clients are very high and always met. We deal at a senior level within government and non-governmental organisations advising on logistics, threat assessments and security arrangements. Our teams can range from a ‘one to one’ to a full protection team with advance party depending on the threat levels and locations being visited. 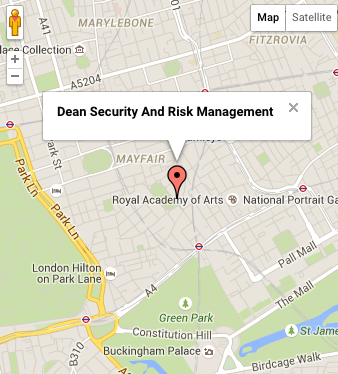 DSRM are dedicated to professionalism and ultimately the wellbeing of the principles. Whether we offer just executive protection or other specialist security services as support, our attention to detail ensures that the client / principle is safe and secure.